There is enough room inside for folding tables and chairs inside for added comfort. The unique roof design offers additional protection from the outside elements;including sun and rain... in addition to bugs and insects! 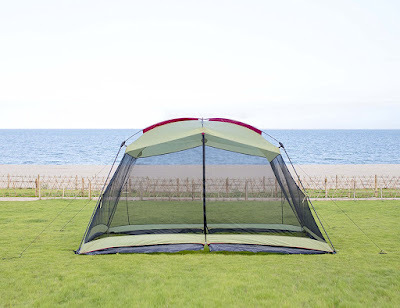 This screen tent is a must-have for everyone who loves spending time outdoors; camping, at the park, birthday parties, family reunions, special events or outdoor sporting events!